Upload your favorite “Kids in Music” photo. Then get your friends to vote it up. Anybody with a web browser, Facebook, Twitter or Instagram account can vote. 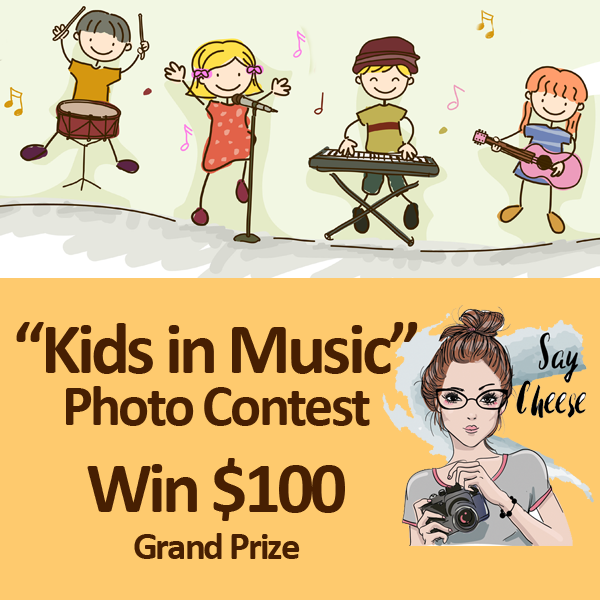 Eligible photos are of kids (under 20 yrs) playing a musical instrument, singing, by themselves, in a group, choir or band. Winner with the most votes wins the $100 Grand Prize. Contest closes May 15, 2019.